Product #1703 | SKU 241V | 0.0 (no ratings yet) Thanks for your rating! The Manfrotto 241V Suction Grip with Camera Support features a camera support and an adjustable pole for additional support and stability. It is a handy grip that adheres to any flat non-porous surface via its large 15 cm suction cup. 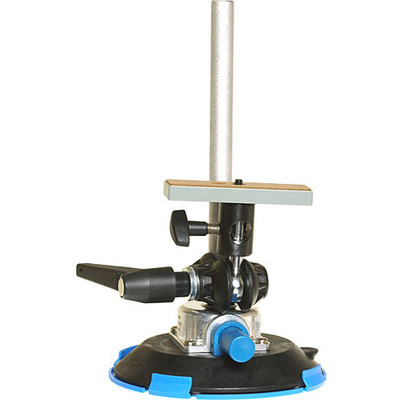 Clamped onto the shaft connected to the suction cup is a versatile ball-joint socket which rotates within a half hemisphere, and which comes topped with a 1/4"-20 screw. The head will also accept accessories that use a 5/8" stud connection.